Sofa: W82.6" x D34.6" x H27.9"
Chair: W40.5" x D34.6" x H27.9"
Amelia sofa chair in white leather upholstery and tufted design back and sides. 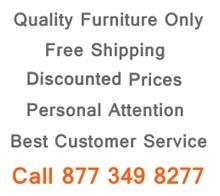 Minimalist contemporary styled set has a large comfortable seats with a walnut wood frame and legs. 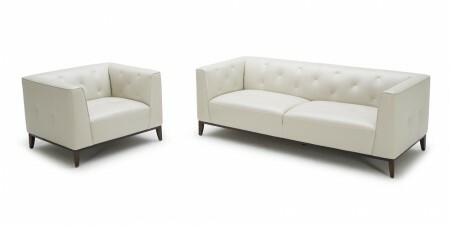 Elegant white tufted and clean-cut leather matches perfectly with a sleek walnut solid wood framing.